The launch of an Angel On A Leash™ therapy dog program at the Fisher House™ supporting the Michael E. DeBakey VA Medical Center in Houston will be celebrated at a reception to be held on Tuesday, May 3, at the Fisher House. The therapy dogs and their handlers will be in attendance, as will residents of the House. The event will be hosted by Angel On A Leash President David Frei, Director of Programs Greer Griffith, and Fisher House Manager Frank Kelley. 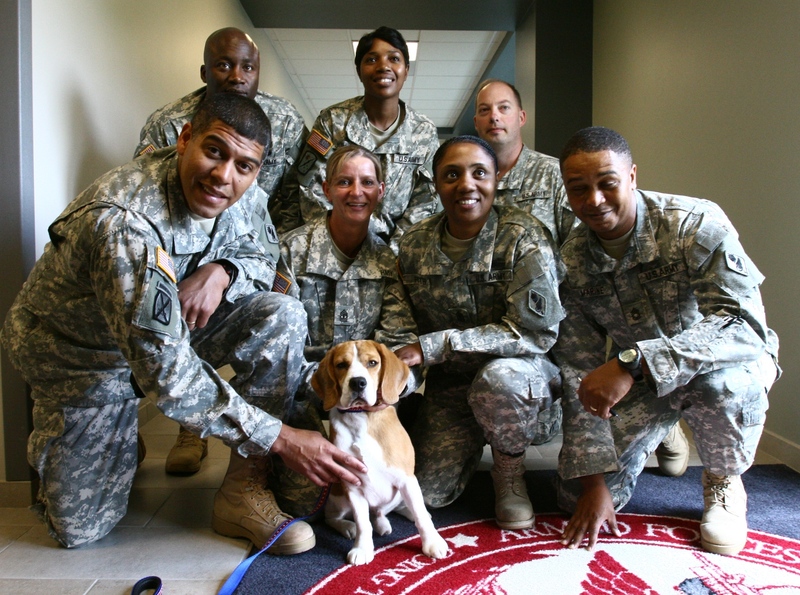 A special guest celebrity, Uno, the Beagle that captured Best in Show at the famed Westminster Kennel Club in 2008, will also be on hand for the festivities. 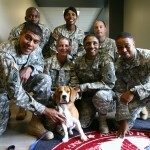 Uno, from Austin, TX, has visited with military heroes at Walter Reed and has made many appearances as a celebrity therapy dog for Angel On A Leash since his historic win at Westminster. Funded by a grant from the Fluor Foundation, the philanthropic arm of Fluor Corporation, the program focuses on supporting both the rehabilitation of armed forces members and their family members. The therapy dog teams, made up of Fluor employees and their dogs, have been visiting at the House on a weekly basis for the past several months. Fisher Houses are homes away from home for families of patients receiving medical care at VA and other major military medical centers around the country. Housing fees for the military members are underwritten by the Fisher House Foundation™. The program here is serving as a pilot for possible future Angel On A Leash therapy dog programs at other Fisher House and Military Rehabilitation Center locations. About Fisher House (www.fisherhouse.org): Fisher House Foundation is best known for the network of comfort homes built on the grounds of major military and VA medical centers. The Fisher Houses are 5,000 to 16,800 square-foot homes, donated to the military and Department of Veterans Affairs, where families can stay while a loved one is receiving treatment. Additionally, the Foundation ensures that families of service men and women wounded in Iraq or Afghanistan are not burdened with unnecessary expense during a time of crisis. Located in close proximity to the medical center or hospital it serves, each Fisher House consists of between 8 and 21 suites, with private bedrooms and baths. Families share a common kitchen, laundry facilities, spacious dining room and an inviting living room with a library and toys for children. Fisher House Foundation ensures that there is no fee to stay in a Fisher House. Since inception, the program has saved military and veteran families an estimated $165 million in out of pocket costs for lodging and transportation. Fisher House Foundation operates the Hero Miles Program, using donated frequent flyer miles to bring family members to the bedside of injured service members. To date, Hero Miles has provided over 22,000 airline tickets to our military and their families. The Foundation also manages a grant program that supports other military charities and scholarship funds for military children, spouses and children of fallen and disabled veterans. About Fluor Corporation (www.fluor.com): Fluor Corporation (NYSE: FLR) designs, builds and maintains many of the world’s most challenging and complex projects. Through its global network of offices on six continents, the company provides comprehensive capabilities and world-class expertise in the fields of engineering, procurement, construction, commissioning, operations, maintenance and project management. Headquartered in Irving, Texas, Fluor is a FORTUNE 200 company and had revenues of $22.3 billion in 2008. About Angel On A Leash (www.angelonaleash.org): Angel On A Leash champions working with therapy dogs in health care facilities, schools, rehabilitation, hospice, extended care, correctional facilities and crisis intervention. Through advocacy, education, research and service, Angel On A Leash promotes the role of the human-canine bond in enhancing human health and quality of life.